Stockmar Crayons and Modelling Waxes are created from beeswax and natural colour-fast pigments. 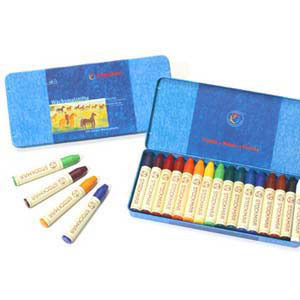 The crayons can be used on all types of paper as well as parchment, rafia and cloth. They can be used for many types of arts and crafts including transparencies, paper batik and encaustic work. 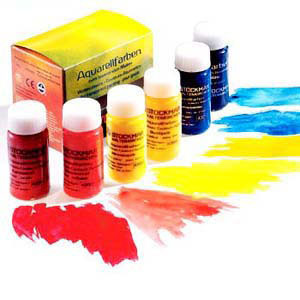 Stockmar Watercolours are ideal for transparent painting and for wet on wet painting. The colours can be mixed to obtain the required shades. Stockmar Paints are made from gum arabic and fine, natural colour pigments. 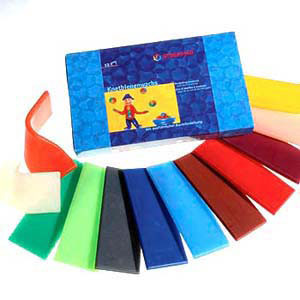 Stockmar Modelling Wax is ideal for modelling, as it does not crumble or smudge. The Decorating Foil can be used to decorate models, candles and any other art work. Stockmar Art Materials are widely used in Steiner Waldorf Schools because of their natural ingredients and exceptional qualities.